The reigning authority on intellectual property in the Internet age, Lawrence Lessig spotlights the newest and possibly the most harmful culture war, a war waged against those who create and consume art. America's copyright laws have ceased to perform their original, beneficial role: protecting artists, creations while allowing them to build on previous creative works. In fact, our system now criminalizes those very actions. 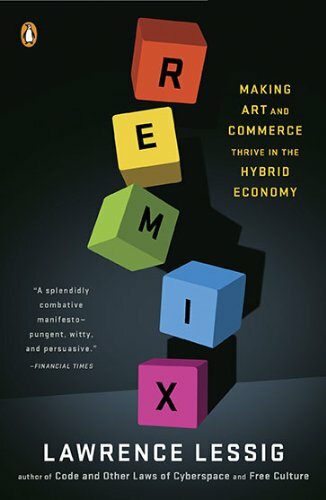 Remix is an urgent, eloquent plea to end a war that harms every intrepid, creative user of new technologies. It also offers an inspiring vision of the postwar world where enormous opportunities await those who view art as a resource to be shared openly rather than a commodity to be hoarded.